What Progressive Jackpot Strategy Is There? - Casino Answers! 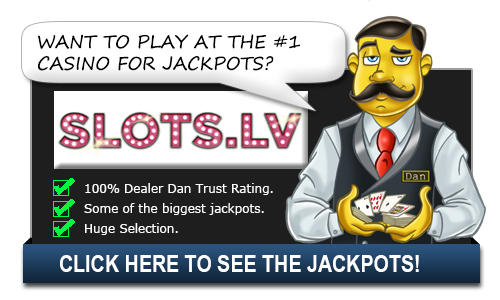 Casino Answers » Casino Progressive Jackpots » What Progressive Jackpot Strategy Is There? What Progressive Jackpot Strategy Is There? For many, the idea of playing slot machines for money is a great idea. Having fun while earning money is indeed a tempting idea. However, we all know that there are a lot of slot machine players who are losers. Hence, for many people, they resort to a strategy to tilt the odds in their favor. In this article, we are going to cover a few strategies and some more about winning progressive jackpots. First Things First: Before we delve into the tips and strategies, there are a few things that you should know from the get-go. The first thing that you should know is that earning for a living with slot machines is not guaranteed income. Some weeks, or even months, you don’t earn money; while there are months that you will be on a crazy streak. Hence, if you can’t handle the psychological roller coaster of winning and losing, then you might want to play simply for fun. The other thing that you should know is that playing for slot machine for a living is not that exciting as you might initially think. This is because much of the fun of slot machines is the “luck factor” – you got lucky yahaaaaay! The moment you become serious about strategies, it becomes pure mathematical; and in that essence, a big part of that fun factor is lost. When you do 1 + 1, and you get 2 – do you get exhilarated when the result is 2? Most likely not. This is not an exact illustration of how slot machine math work. But, it does illustrate that when you do a lot of math, it’s all probabilities and much of the fun associated with luck fades. Now that we have covered that, let’s move to the reason why progressive jackpots are your best choice. The reason why you might play progressive relies on the fact that most modern slot machines are not completely random. The winning edge of the house is programmed into the slot machine. Usually, the house edge is around 2% – 5%. Factor the fact that it’s not completely random, there is a point in which the computer is programmed to be much more generous if it had already accumulated the house edge. In other words, your chances of winning increases if the slot machine has already accrued the desired house edge. So that’s our first strategy – find the progressive slot that is “cooked” and ready to give out its jackpot. Bankroll – having a bankroll is very important as it’s a way to absorb losing streaks. It allows you to time for your edge to come into play. Sessions Time – put a limit on you playing time. The maximum is 2 hours. After that, take a break for at 30 minutes. Playing for extended your focus diminishes your focus, and that leads to rash decisions. Hunt – you can add a couple of percentage points to your edge if you hunt for slot machines that have an additional bonus – like free spins, deposit bonus and such. These bonuses tilt the math so you will have more breathing room. Playing progressive jackpots with a strategy is the ONLY way you can win against the house on a long term. Hence, start with the few tips above and never stop improving and learning.